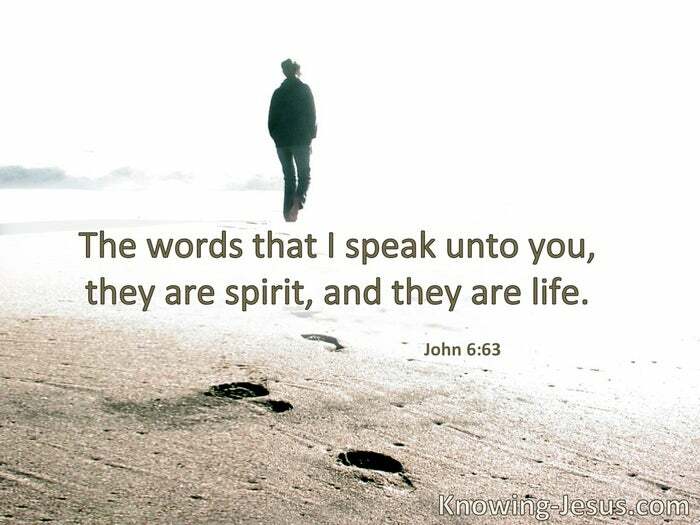 The words that I speak to you are spirit, and they are life. 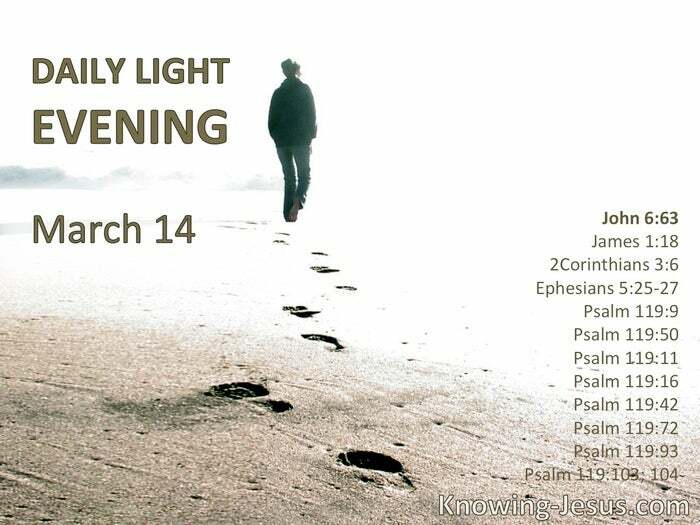 Of His own will He brought us forth by the word of truth. § The letter kills, but the Spirit gives life. Christ also loved the church and gave Himself for her, that He might sanctify and cleanse her with the washing of water by the word, that He might present her to Himself a glorious church, not having spot or wrinkle or any such thing. How can a young man cleanse his way? By taking heed according to Your word … Your word has given me life … Your word I have hidden in my heart, that I might not sin against You … I will not forget Your word … I trust in Your word … The law of Your mouth is better to me than thousands of coins of gold and silver … I will never forget Your precepts, for by them You have given me life … How sweet are Your words to my taste, sweeter than honey to my mouth! Through Your precepts I get understanding; therefore I hate every false way.